A Grateful Gift – Grab your copy of The Holistic Parent Today! With the approach of the holidays, The Holistic Parent magazine has released its 2018 Holiday Gift Guide! Dr. Jen’s article on Gratitude over the holidays is included on page 10. Last month, we talked a lot about gratitude. Now we’re diving into grit. However, these are two skills that protect us from the rain even better when combined! 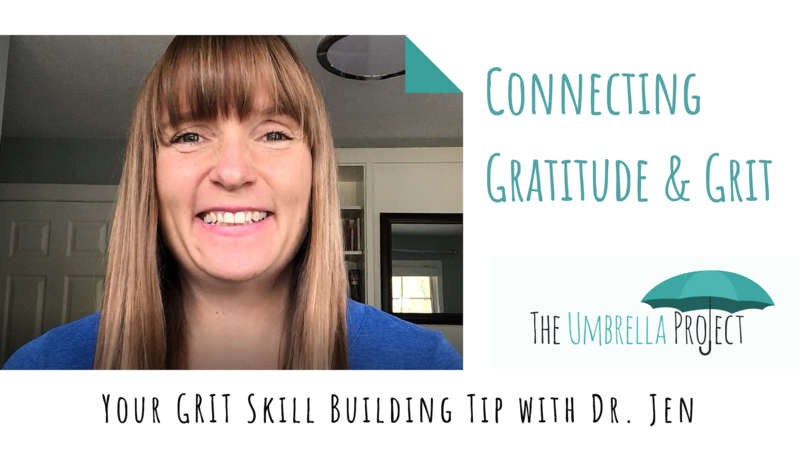 Learn more about the benefits of connecting gratitude and grit in today’s video with Dr. Jen. Watch it below or on our Facebook Group! Feeling excluded can be painful and a difficult part of childhood. Gratitude is a useful skill for helping to build and nurture relationships. It can help our children use more inclusive behaviours towards others. Help your child notice when their peers do something kind for them to boost their gratitude towards others. Point out these moments whenever you can. 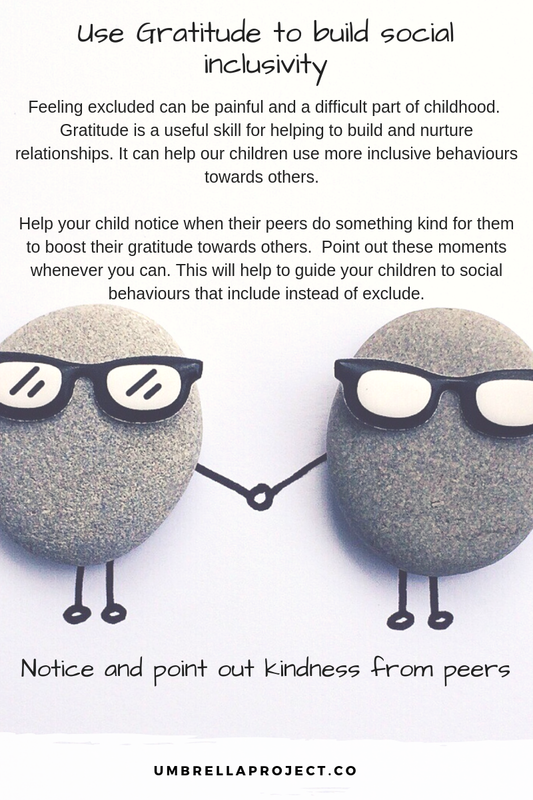 This will help to guide your children to social behaviours that include instead of exclude. Download a PDF copy of today’s tip HERE. Believing in free will is our sense that people do things for us not because they have to, but because they want to. 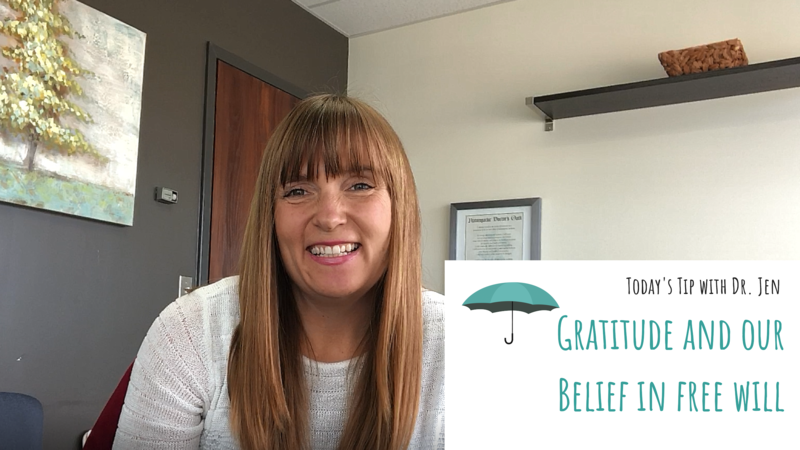 Today’s tip with Dr. Jen outlines how this helps to build our children’s feelings of gratitude. Check out the video below or join our parenting Facebook Group HERE. Is there somebody in your daily life who is always making everything that much easier, better, and brighter for you? This weekend, get together with your family and reflect on this person’s awesomeness. 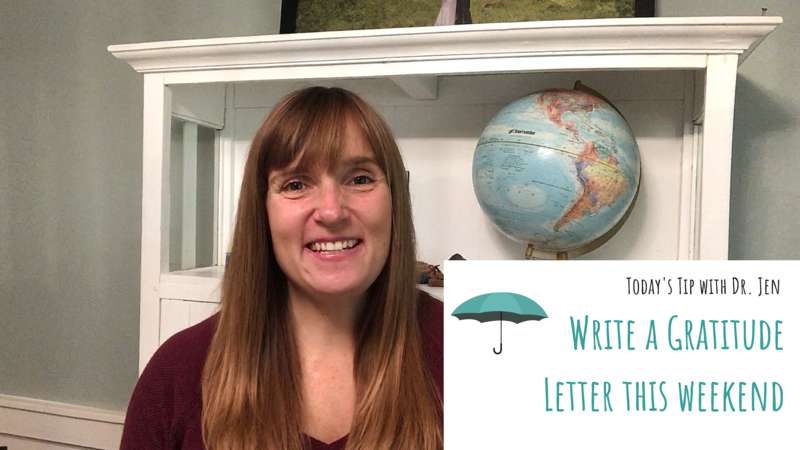 Then – write them a gratitude letter! Listen in with Dr. Jen to learn all about gratitude letters and how your family can use them this weekend. Watch the full video tip below or join our Facebook Group HERE. Although many of our tips here at the Umbrella Project are geared towards school-aged children, you will also want to build skills like gratitude with younger children. 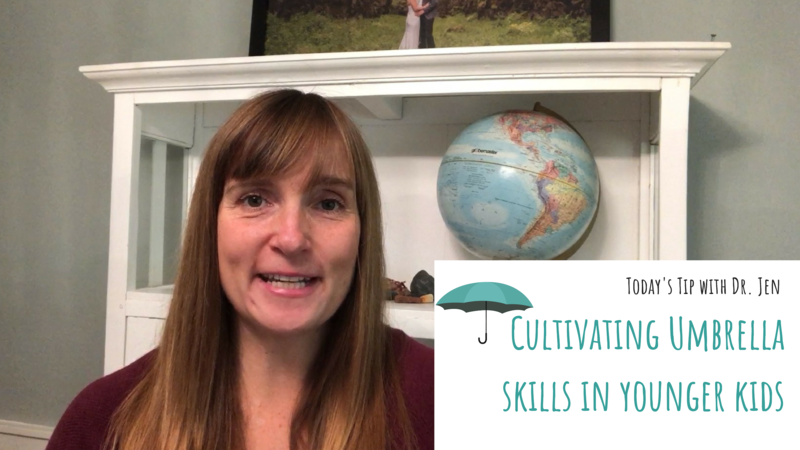 For the two and three year olds in your life, today’s tip with Dr. Jen will help you to grow their gratitude from a very early age! Watch it below or join our Facebook Group HERE.